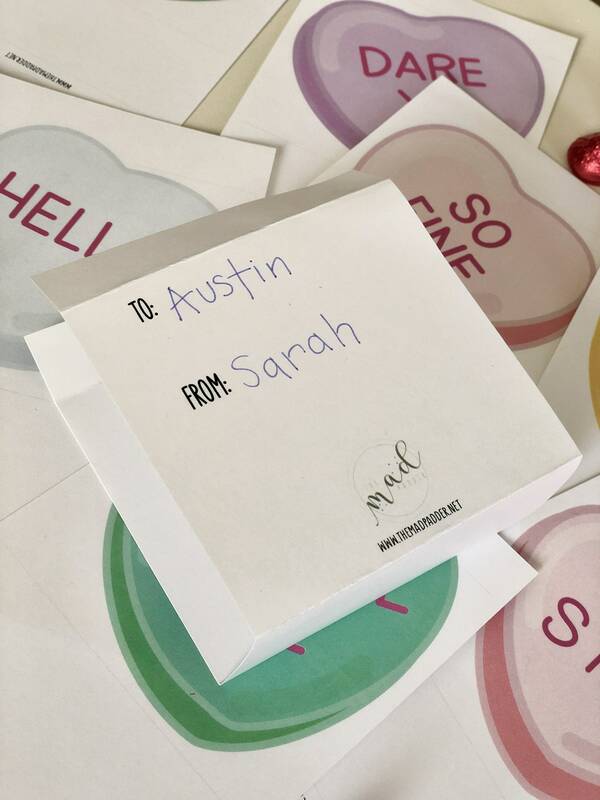 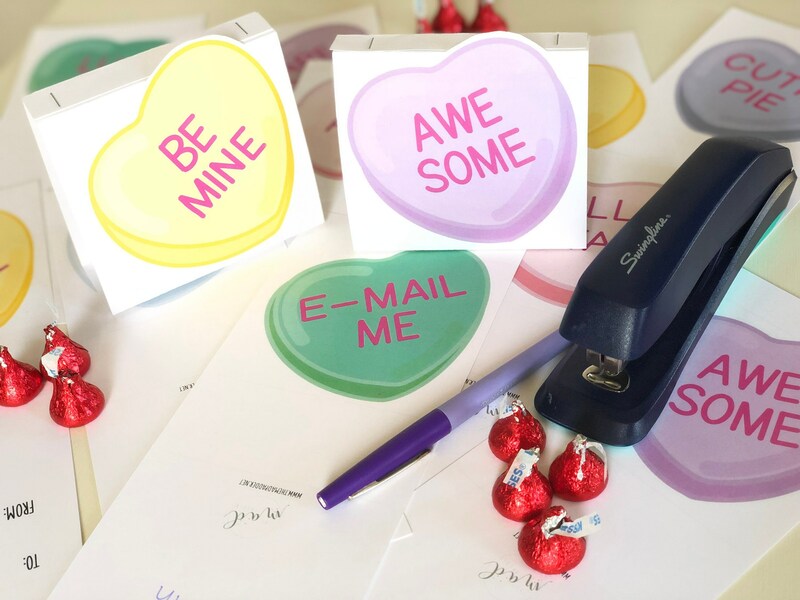 Adorable conversation hearts illustrated by The Mad Padder on this Valentine fold-and-staple kit make the perfect way to show some love! 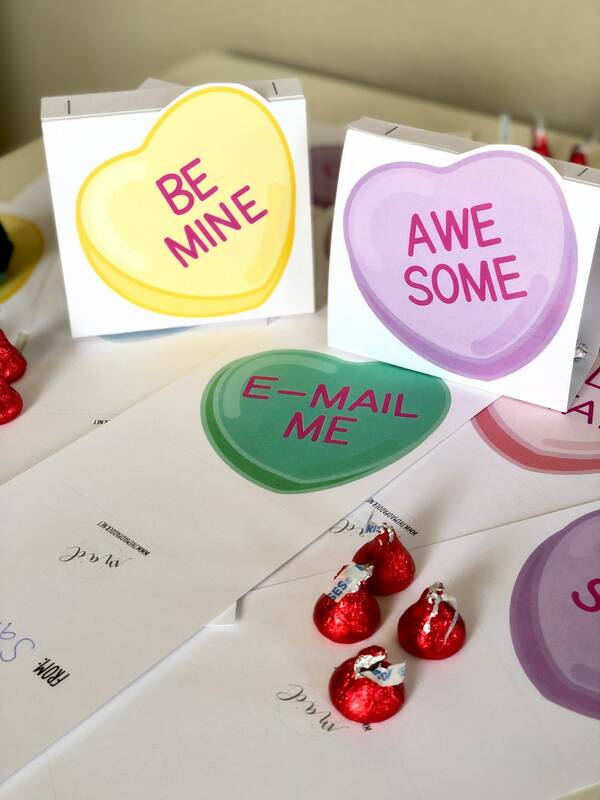 The folded & standing “fold-and-staple” stands almost 4” tall and measures 4-1/4” wide and 1-3/4” deep. 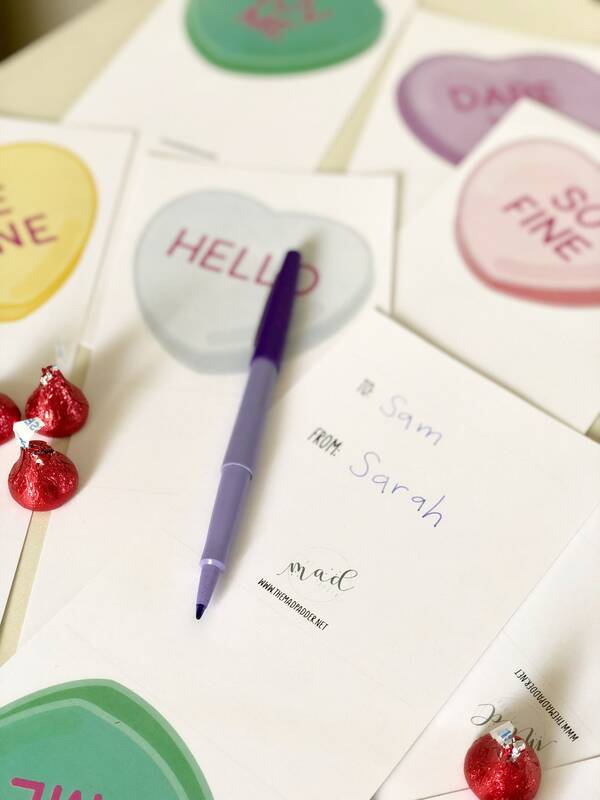 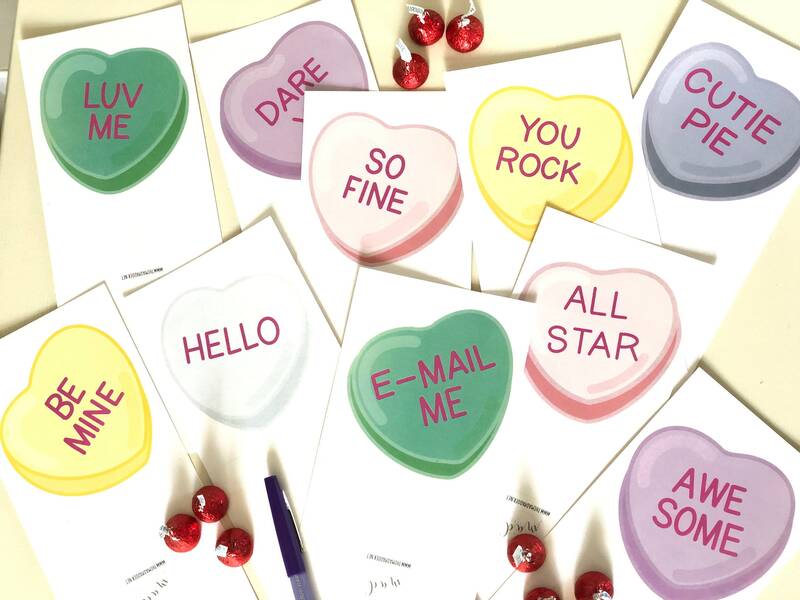 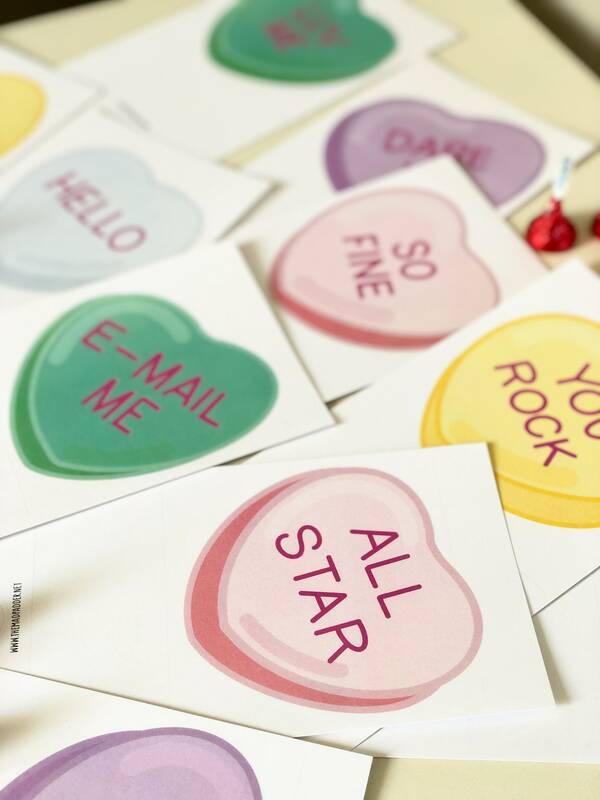 There are ten different conversation hearts featured on the front and the words "To" & "From" printed on the back. 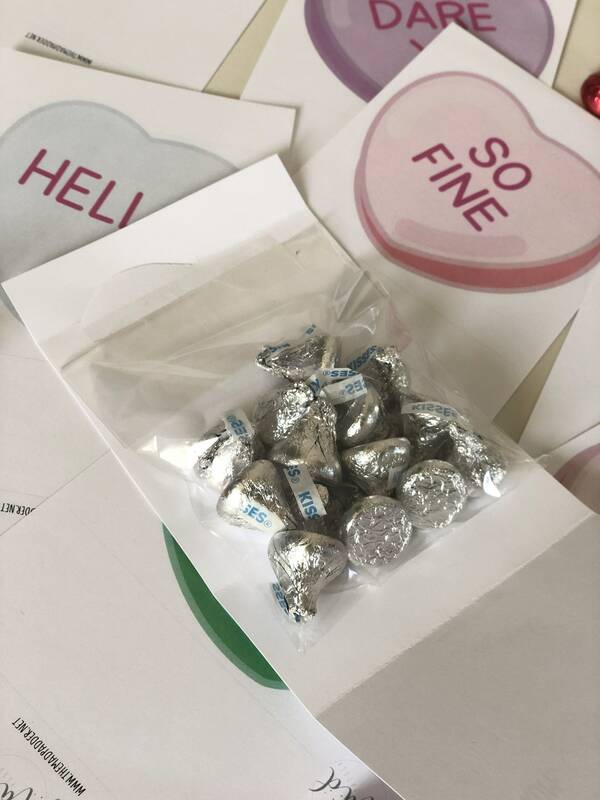 Ten food-safe bags are included. 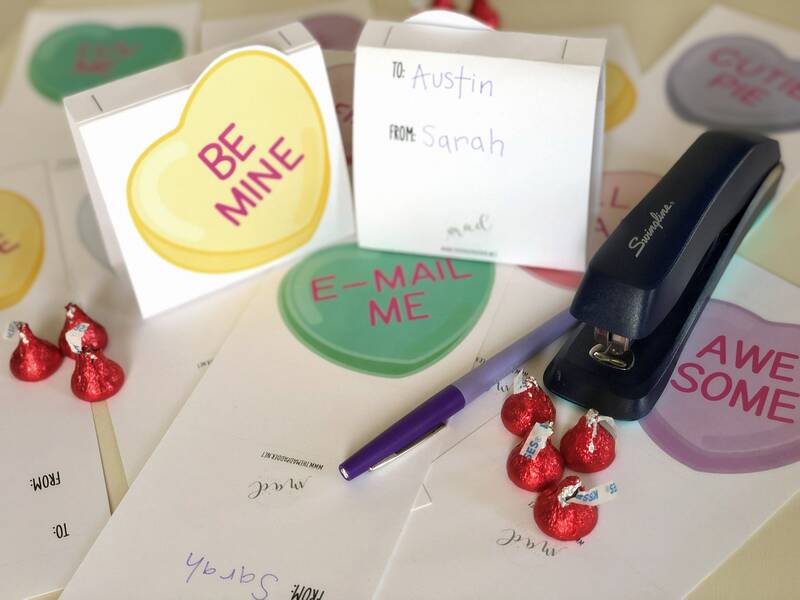 The only supplies needed to complete the kit are a stapler, tape, and a pen or pencil. 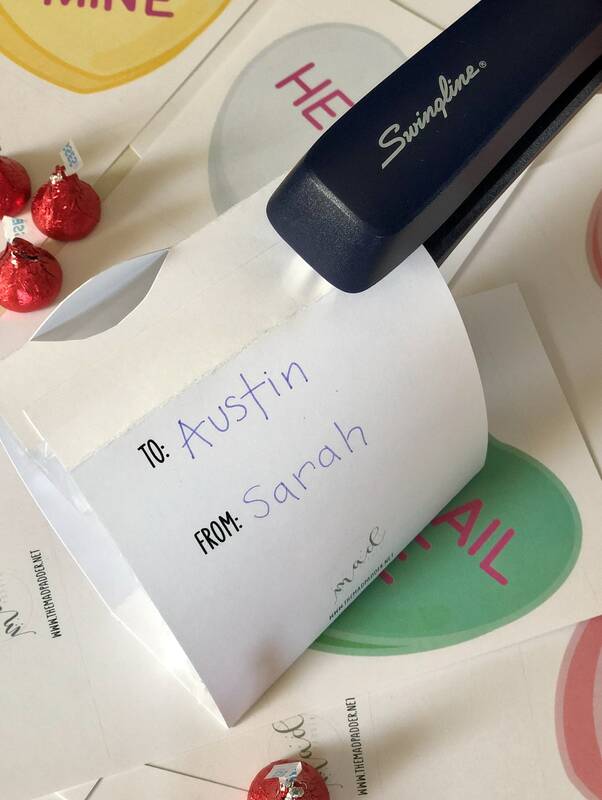 Simply write in the “To” & “From” on the back, fill the bag with your choice of candy, tape the top of the bag inside (see photos in listing), then fold and staple at the top.